Say hello to the 2018 Turtle Watch team which this year includes our friends from Florida Audubon and FWC who protect nesting shorebirds on Panama City Beach. 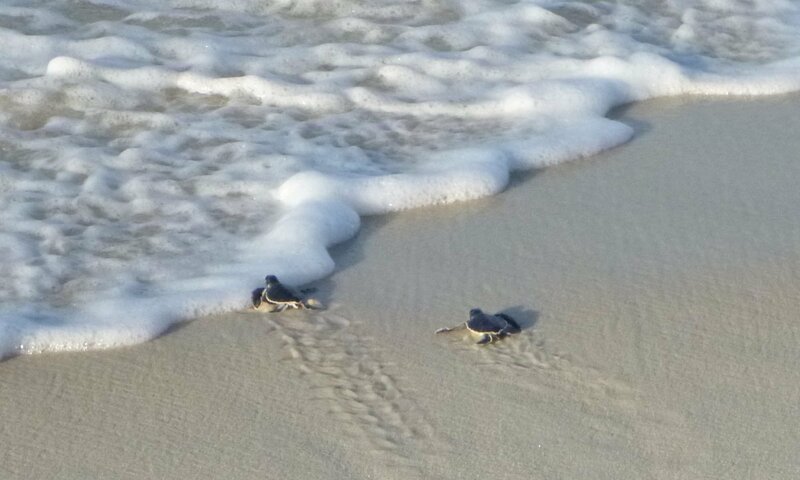 Turtle Watch was started in 1991 by the St. Andrew Bay Resource Management Association, a non-profit conservation group based in Panama City, Florida. We are a group of volunteers whose common purpose is to locate sea turtle nests, protect them until hatching, and help the hatchlings make it safely to the water. This protection is necessary to improve the survival chances of the turtles, since hunting and habitat destruction have greatly reduced their numbers. Turtle Watch is grateful for financial support provided by the Bay County Tourist Development Council. This support allows us to perform daily surveys during the summer months to identify turtle nests on the beach.